Germany‘s federal environment agency has issued a strong advisory for people to return to prewar norms of eating meat only on special occasions and otherwise to model their diet on that of Mediterranean countries. “We must rethink our high meat consumption,” said Andreas Troge, president of the UBA, the government’s advisory body on environmental issues. And remember – this is all done to cure man-made global warming. It is interesting how that phrase has morphed into climate change, but essentially its – you Krauts, meat once a week if fine for peasants. I hardly get the feeling that German diplomats are going to be munching salads 3 meals a day 6 days a week as they entertain their other aristocrats. Unfortunately its just a preview of coming attractions. The Messiah has decreed that America is to destroy its economy on the altar of greenery. Just today he signed the death warrant for the auto manufacturers. Your future government ration cards will not include a daily meat ration. Perhaps you can supplement your diet by trapping and eating squirrels and pigeons. 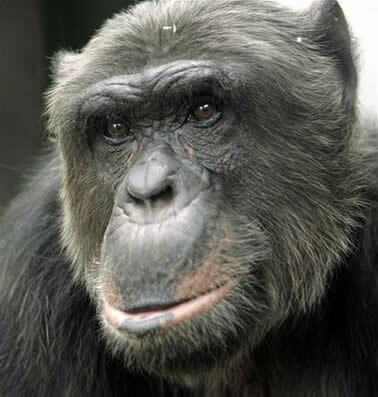 The European Court of Human Rights in Strasbourg has agreed to hear the case of Matthew, a chimpanzee whom animal rights fanatics want officially declared as a person — a crucial step toward the day welfare benefits can be collected on behalf of animals, not to mention human–animal marriages. The Norwegian government claims it has directed criticism against China after Chinese authorities put down protests in Tibet over the weekend, but says it doubts a boycott of the Olympics would have any positive effect. Johansen stressed, however, that there are some “positive” things happening in China in the area of human rights. He therefore has little faith that attempts to isolate China or boycott the upcoming Olympics would do much good. Speaking for the Italian government, Italian Foreign Undersecretary Gianni Vernetti told Chinese Ambassador Sun Yuxi that China should avoid using force against demonstrators and should uphold human rights including freedom of expression. Speaking on Italian radio, Italian Foreign Minister Massimo D’Alema rejected calls to boycott the Olympics. He said the Beijing Games were ”an unrepeatable opportunity” to put pressure on China to allow dissidents to voice their grievances. The speaker of the European Parliament, Hans-Gert Poettering, suggested that European Union leaders should boycott the Olympic opening ceremony. *Ed – oooh – won’t that strike fear into the hearts of the leaders of a country that has no problem with driving tanks over its own citizens. An opening ceremony boycott! France’s Foreign Minister Bernard Kouchner says the European Union should consider boycotting the opening ceremony of the Beijing Olympics if violence continues in Tibet. Halt! Or I will say Halt! again. And the European media just eats it up. On at least two occasions this week, Hamas staged scenes of darkness as part of its campaign to end the political and economic sanctions against the Gaza Strip, Palestinian journalists said Wednesday. In the first case, journalists who were invited to cover the Hamas government meeting were surprised to see Prime Minister Ismail Haniyeh and his ministers sitting around a table with burning candles. In the second case on Tuesday, journalists noticed that Hamas legislators who were meeting in Gaza City also sat in front of burning candles. But some of the journalists noticed that there was actually no need for the candles because both meetings were being held in daylight. The bottom line is that the renewables debate, and investment in it, is as much about ideology and political belief as it is about economics and environmental issues. When the real cost of turbine power as a major player toward our future power needs is assessed, the answer just ain’t “blowing in the wind”. Despite public subsidies to the UK wind industry of over $500 million the government has so far only seen that such a massive investment provided less than half of one percent of the UK’s electricity needs. the regularly repeated claim that Denmark generates 20 percent of its electricity demand from wind sources is highly misleading. That 20 percent of Denmark’s electricity is not supplied continuously from wind power. Such is the variability of supply that it relies heavily on the proximity of near neighbors Norway and Sweden to take their excess capacity. Please ignore the bomb-making material – its all humanitarian don’t you know. The army said 6.5 tons of potassium nitrate were in bags marked as sugar from the European Union for Palestinians in the coastal enclave. The cargo in a Palestinian truck was traveling in the West Bank and seized several weeks ago at an Israeli checkpoint, the army said.